Beautiful location - beachfront on the bay. 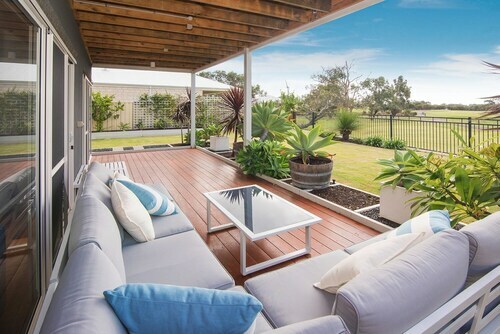 Great outdoor area leading to the bay. Tables, table tennis table, hammocks, weights bar, mat, triceps bar. 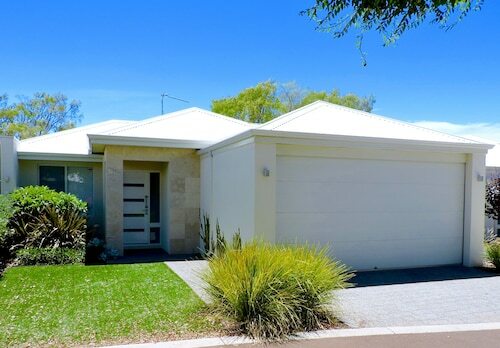 Was about a 20min walk into Dunsborough so shop on the way or have transport available. Washing machines didn't work. 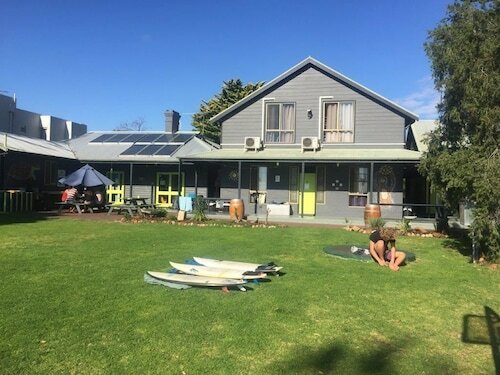 Situated in Quindalup, this vacation home is 0.3 mi (0.5 km) from Geographe Bay and within 3 mi (5 km) of Dunsborough Visitor Centre and Country Life Farm. 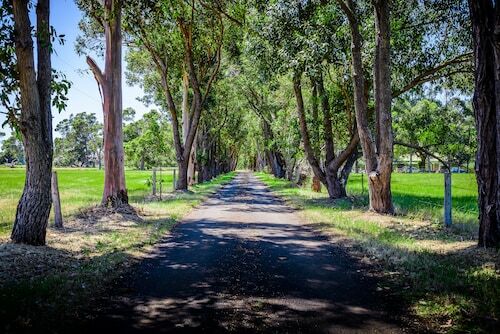 Happs Margaret River and Flametree Wines are also within 6 mi (10 km). 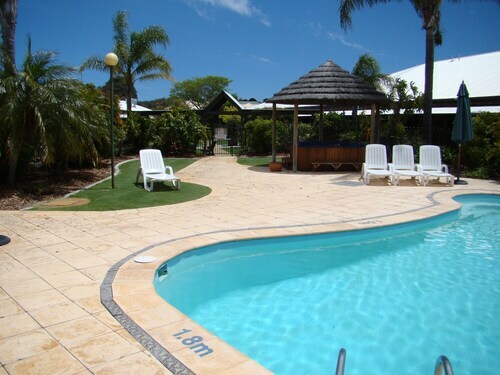 Excellent staff with good clean accommodation. Check in was quick and easy. Shops across the road. Beach walking distance. The use of equipment (bikes, surf boards, esky's) was excellent. Very clean and modern too. 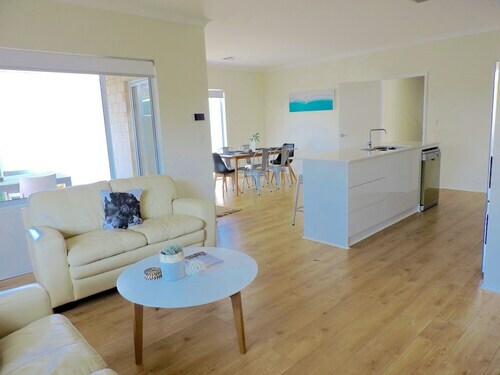 Situated in Dunsborough, this vacation home is 0.9 mi (1.4 km) from Geographe Bay and within 3 mi (5 km) of Dunsborough Visitor Centre and Country Life Farm. Happs Margaret River and Flametree Wines are also within 6 mi (10 km). 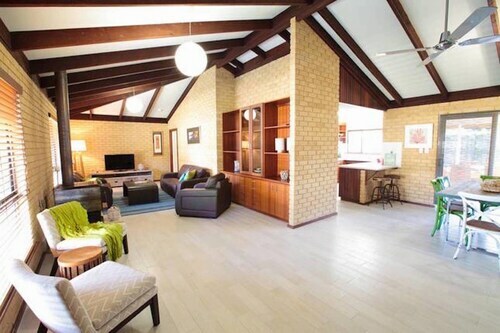 Situated in Quindalup, this vacation home is 0.6 mi (0.9 km) from Geographe Bay and within 3 mi (5 km) of Dunsborough Visitor Centre and Country Life Farm. 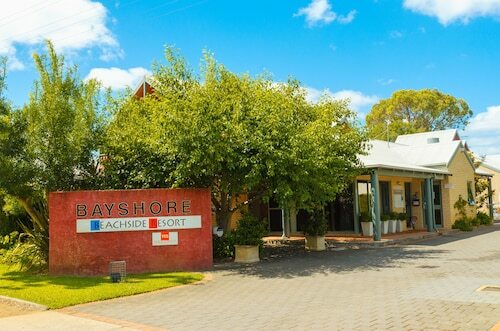 Happs Margaret River and Flametree Wines are also within 6 mi (10 km).